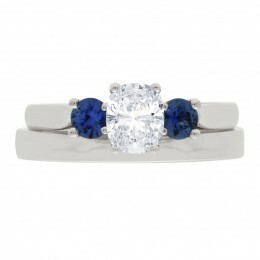 “Lucia” is a 3 stone oval shape diamond and round shape sapphire engagement ring. 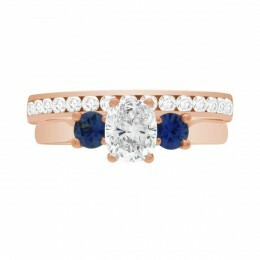 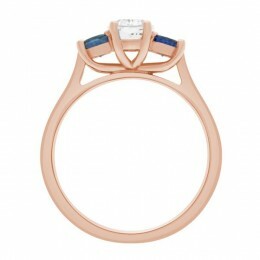 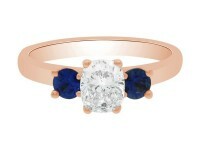 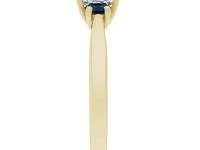 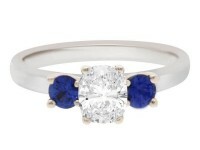 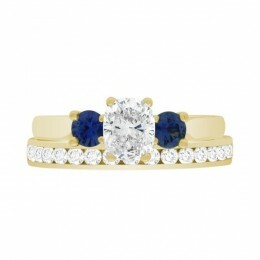 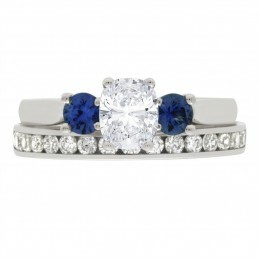 The oval diamond and round sapphires are in a shared four claw setting. 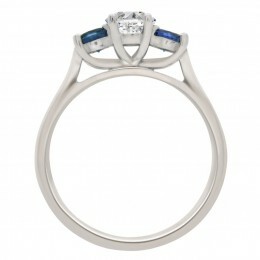 A graduated look to add width and to maximise beauty and sparkle. This engagement ring is available in white gold, platinum, yellow gold or rose gold and is available with a selection of plain/patterned and matching diamond wedding rings. 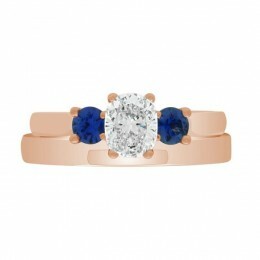 The ring pictured has a .80ct oval shape diamond. 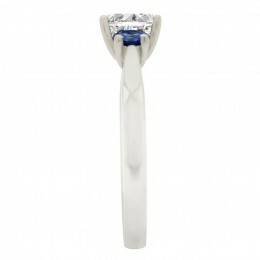 The combined carat weight is 1.20ct. 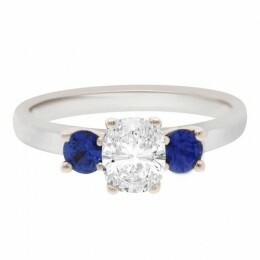 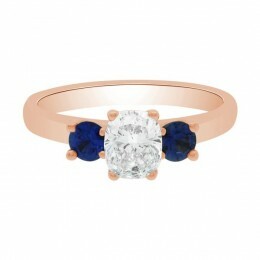 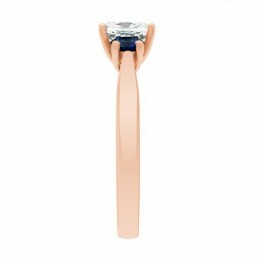 This style of ring is available starting from €2,400.